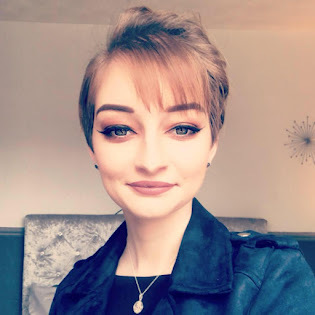 So I’m here this week to bring a first impressions post on a new foundation which I feel as though I haven’t done a first impressions post on here for so long so I was kind of looking forward to this. 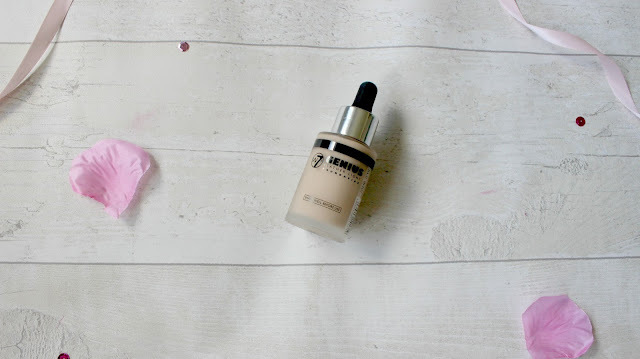 I picked up the W7 Genius Feather Light foundation from B&M a few weeks ago and it was £2.99 so I decided to give it a go which I’m not saying I was expecting big things but the packing got me excited. I will start with the packaging first so when I saw this it reminded me of the new NYX foundation which everyone is trying on YouTube. The glass is the frosted glass which is something I love when it comes to beauty products and the writing is in black which stands out perfectly on the glass. The applicator for this foundation isn’t my favourite I have to admit as it’s a dropper which don’t get me wrong it makes the foundation look a lot more expensive than it actually is but it just doesn’t work for me but I understand why W7 used this as it’s supposed to make the whole idea of using the foundation less messy than a pump for example but I just can’t get on with it. So I picked up the shade Buff which is the lightest shade W7 have brought out for this foundation and I have to admit it actually is quite a light shade which when applied with my Revlon Colourstay it matched me perfectly which never normally happens. So on first impressions of applying the foundation it was very runny to the point it was running off my face but I have seen that with the NYX one too so I think if anything it’s the applicator which makes the foundation runny. So as for coverage it seemed very light which is something I really do not like but I feel as though it could possibly be built up to a medium coverage but if it would go cakey I’m not too sure. 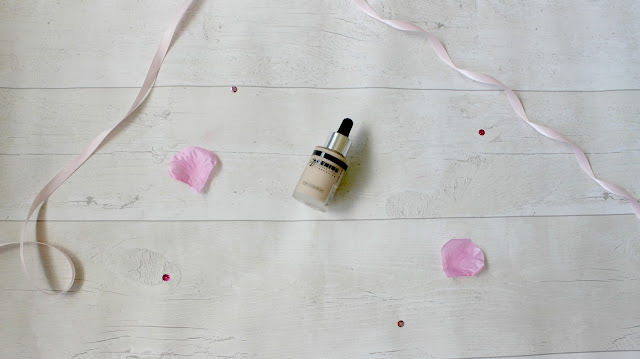 As you probably know if you have read my blog for a while I prefer heavy coverage so I don’t think I could achieve that with this foundation but I will definitely try it again and try build the coverage up. 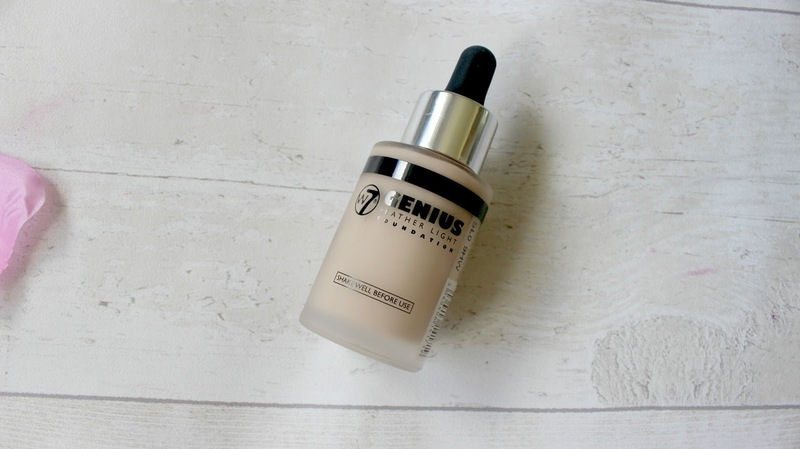 I used this on a day when I wasn’t really needing much coverage so if anything I wasn’t too bothered about layering the foundation on but when applied it blended really well and didn’t go patchy or anything like that when applied. I did apply this with the Revlon foundation and they worked really well together so I may try that again when I retry this foundation. In my opinion this foundation is definitely worth the money so if you’re wanting an inexpensive foundation to try out I would definitely recommend this one. I understand it’s a “Feather Light” foundation which is why the coverage isn’t heavy but that is something I look for in foundations. The packaging is so lovely again with it been so inexpensive you don’t expect that kind of packaging. As for lasting power I only had this on for a few hours max so didn’t see the full damage which is why I will need to apply this foundation on a day where I can properly test it out but it did last quite well for the few hours I did have it on, I will say this foundation won’t be for everyone but it’s definitely worth giving it a try as it’s so inexpensive so you can’t go wrong. As for finding the foundation I know it’s on sale on Ebay, W7 website, Fragrance Direct and Amazon which is just a few places for you.